The Algarve is a gorgeous destination in the south of Europe, known for its warm weather and for receiving more than 300 days of sunshine each year. The region is an incredible place to unwind while taking in the picturesque golden beaches and stunning rock formations. Food is another highlight in Portugal’s southernmost region: the Algarve, which borders the Atlantic Ocean on two sides, serves some of the best fish and seafood in the country, as well as fresh vegetables, cured meats, wines and desserts. And as an added benefit, the basis of the region’s cuisine stems from the Mediterranean diet, which is renowned for being one of the healthiest in the world. Cuisine aside, there’s a great deal to discover in this charming corner of Europe, from museums to music concerts. Nature lovers can choose from an array of scenic walking trails, birdwatching tours and sea cave expeditions. There are also sports activities for any kind of visitor, from car racing on the Algarve International Circuit to internationally recognised golf courses. Despite being a brand new venue in the region, the Algarve Congress Centre, which is strategically located between the local marina, the beach and the Tivoli Marina Vilamoura hotel, has already hosted a number of prestigious corporate and social events. 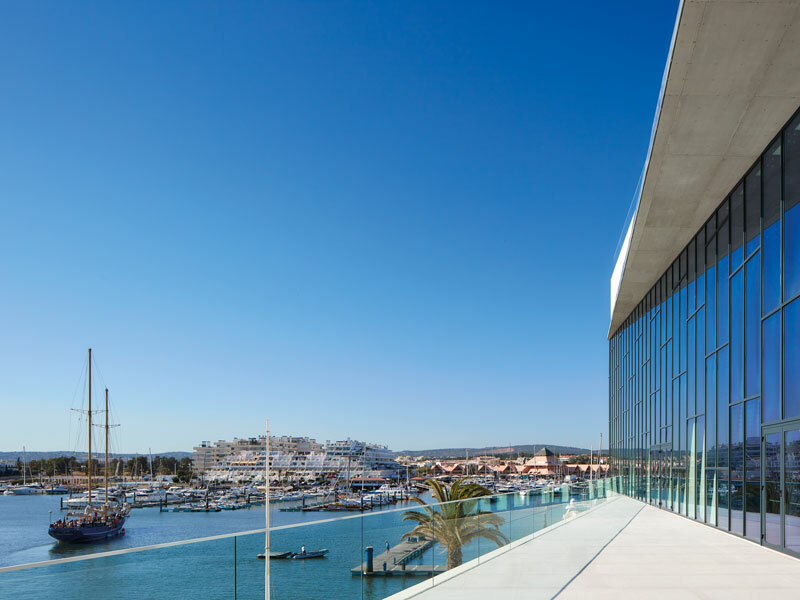 From intimate rooftop cocktail parties to national congresses and international corporate meetings for thousands, the flexibility of the Algarve Congress Centre means it can host events in almost any format. The venue’s 270-degree glass-walled meeting rooms, together with 360-degree views from the rooftop, provide a stunning vista of the ocean and the marina, helping guests to make the most of the local surroundings. The centre can host events for 50 to 3,000 people across 22 multifunctional meeting rooms. Separate floors and entrances can be allocated to different events, creating a feeling of exclusivity. When planning large-scale events for numerous guests, providing entertainment and things to do is one of the most important tasks for organisers. Fortunately, programmes taking place at the Algarve Congress Centre can be enriched by our additional venues, such as Lakeside, an outdoor venue where guests can enjoy dinner by the lake, or Purobeach Vilamoura Poolside, where a cocktail by the pool can create the perfect atmosphere for a moment of escapism. Guests at the five-star Tivoli Marina Vilamoura can also delight in a range of restaurants and bars, or they can take some time to relax at the spa and indulge in treatments featuring Algarvian products. The fact that the conference venue is adjoined to the Tivoli Marina Vilamoura, as well as being close to the airport and several other top-class hotels, is one of its biggest highlights. The centre’s convenient location helps to reduce the logistical stress of travelling for business. In fact, we feel certain that no other venue in the region has the same degree of flexibility as the Algarve Congress Centre.